In the 15th century, Columbus set sail for India and ended up discovering America. Without IT, management concepts, and a finance department. And that was a good thing, because with SAP, dashboards, and a sizeable administration, the demoralised crew would probably never have discovered America. Today, in the 21st century, people often forget that IT is a means, not an end, and that management concepts were invented to make the simple complex. Communicating clearly is a success factor in compiling business information. No more and no less. All that is needed is agreement on management goals and accountabilities. Perhaps you, as a member of a management team, already knew this. This success factor is not one of IT systems or fancy management concepts such as six sigma or a balanced scorecard. After all, these were never the driving force behind any company’s success. In fact, they can cause companies problems, but I won’t go into that now. Clear communication requires a management team with relevant knowledge of how to run and control an organisation, as well as a finance manager with the kind of communication skills needed to be able to liaise with fellow directors and managers. Although ERP systems and common practices such as the use of key performance indicators do indeed add value, the basic premise of this article is that managers and staff at many companies have a distorted idea of the purpose and role of ERP systems, management concepts, and finance managers. And this, in turn, leads to expectations of these systems and people’s performance that neither systems nor people can live up to. What is going wrong? The following quotes by managers at various companies and organisations will give an idea of what I have branded the misery top 3: 1. “We now have SAP live. All our information needs are covered by the ERP system as standard, so the information just comes out automatically.” 2. “The balanced scorecard project gives us the KPIs we need. According to the consultant, three workshops is all it takes. Once we have the KPIs, we’ll move on to the confrontation matrix and strategy mapping. One year from now, we’ll have all of it implemented.” 3. “Our finance manager is a good man, and he will soon submit a proposal on how to improve information. He’ll do that all on his own. Without consulting us!” These quotes sum up the top 3 of what is wrong in the area of business information today. The facts are that good information is not simply churned out by ERP systems, fancy management concepts hinder rather than help, and a finance manager or finance department can never produce information on their own when information needs have not been defined by the MT first. In the following, I will go into the three sources of misery in greater detail one by one. Enterprise Resource Planning systems, such as SAP, Oracle, and Navision, were designed to support and standardise companies’ planning and administrative tasks, and they do a very good job at that. The problem is, however, that information for a management team can only partly be standardised, because it also has to factor in the changing environment, strategy, and organisation, which makes it subject to the requirements of its users: the management team. This is something that many managers and employees fail to see. Managers and employees often have the wrong expectations of an ERP system, thinking that it will “automatically” produce the required information. On board the Santa Maria, Columbus’ flagship, an ERP system would have had the crew waiting around for the new maintenance module that would supposedly “offer all the required features.” Following the “implementation” of this new release, this same crew would only have been complaining about how everything was better how it used to be, and that they want the previous system back. At the end of the day, the crew would have been so demoralised that maintenance work on the ships would no longer get done at all. When they decide to start using fancy management concepts, organisations often lack a full grasp of their elementary business information. A power company once came to me asking ‘what exactly a balanced scorecard is’, while their sales managers had no idea as to the margins they were making on sales to low-volume and large-volume power consumers. Or the all too common situation where management team members decide to implement the beyond budgeting concept, even though their company has not managed to produce a proper budget with clearly defined responsibilities for individual managers in 30 years. Back to the 15th century. Imagine Columbus had given each of his ships a balanced scorecard, with key performance indicators such as “Number of fatal gybes”, “Employee satisfaction”, and “Number of successful compass calibrations”. And, of course, “Number of continents discovered”, because a scorecard is only balanced when it covers innovation as well. Needless to say, the problem is that key performance indicators can never reflect reality for the full 100%. But inadequate explanation of their purpose and how they work does sometimes lead managers and employees to believe that they do paint an accurate picture of reality. Key performance indicators never cover 100% of the work, no matter how expensive your consultancy firm is. Take the police, for example: it is futile to think you can sum up all of the police’s activities and performance in the number of fines issued by individual officers. No matter how badly politicians may want to capture police performance in figures, it is simply not possible. 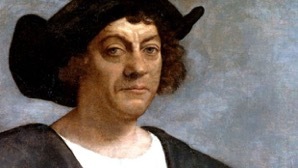 If Columbus had had a scorecard, he would have been able to tick off several of the performance targets on it, but he would certainly not have discovered America. Certain specialist tasks can easily be left to finance managers to handle on their own, without consulting fellow management team members all the time. Rolling out new accounting principles (such as IFRS), for example, is an example of a task that finance managers, as experts in their field, can very well do on their own, because social skills do not really come into this kind of task. To improve business information, however, a finance manager will have to work together with fellow management team members, i.e. the primary users of the information. For this kind of task, a finance manager will continuously have to liaise with fellow management team members to assess their information needs and then tailor the information supply to those needs. In the case of the Santa Maria, an overactive accountant (let’s call him Pacioli) would have inundated officers and crew with needless procedures and reports with unreadable figures, while relevant information about what course to set and what food to stock would have taken weeks to become available. Organisations should make time to properly explain the purpose of IT systems, management concepts, and the role of finance managers. Explain what they can and what they cannot do. It will prevent wasting of time and money. This does, however, require directors, managers, and employees to continuously refresh their knowledge of ERP systems and finances. Only then will you keep your company on track.